For one leg, MBARI is working with the David and Lucile Packard Foundation’s Gulf of California and Science programs to provide cutting edge science that could benefit marine conservation efforts. 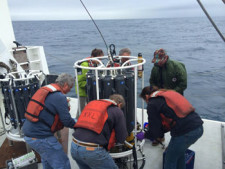 As part of this effort, from March 11-15 scientists from the Centro para la Biodiversidad Marina y la Conservación, the Universidad Autónoma de Baja California Sur, the Scripps Institution of Oceanography, and MBARI will team up to explore some of the south Baja deep sea. The team will use the R/V Rachel Carson to study a deep canyon off the south of the well-established and successful Cabo Pulmo National Marine Park. This canyon has remained unexplored but its depth and proximity to the coast lead scientists to believe that it likely plays an important role in the local productivity and richness that make Cabo Pulmo such a special place. 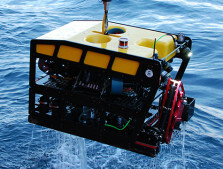 The team aims to explore this unique canyon using remotely operated vehicles (ROVs) equipped with cameras and acoustic equipment to map the seafloor and the species that reside in the depths. 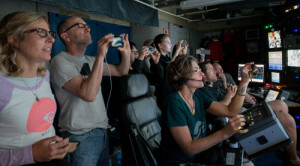 The team will travel up and down the coastline adjacent to and above the canyon, tracing the seafloor with acoustic beams to detail the structure of the canyon seafloor. 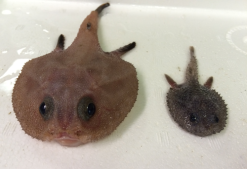 Once a map of the area has been established, photos of the species residing in the canyon will be taken with the ROV’s cameras and hydrophones will be used to study the sound ecology of this deep-water habitat. With this new information the team will be able to add to the large datasets that have been collected in the Cabo Pulmo and other reef habitats in the Gulf of California. 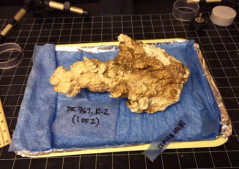 This new baseline will prove useful in describing any new species and processes that occur as a result of the unique geology of the canyon. Longer-term, the project will serve as the first baseline study on which to add future results and perhaps build a case to extend the limits of the existing marine protected area, adding to the marine diversity and successful conservation that this area has benefited from since the late 1990s. Dave Caress writes: We had hoped to achieve five surveys over the seven-day leg. The planned sites are far apart so we were going to lose a lot of time to transits. After having the AUV snagged on derelict fishing gear for two days, we achieved three surveys, all with high-quality data. Deploying the mapping AUV for the first mission on February 18. 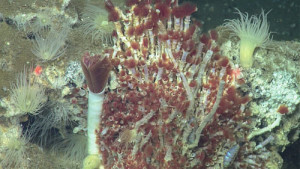 This survey will provide context for a benthic biology ROV Ricketts dive by Jim Barry for the seafloor biology leg. Recovering the AUV at the end of the first mission. One-meter resolution topography from the first mapping AUV survey, covering the steep slope east of Cerralvo Island from 400 meters to 1,600 meters deep. Frame grab of GoPro video taken by drone during bottom pressure recorder (BPR) recovery. Drone owned by CICESE and operated by Alejandro Hinojosa. 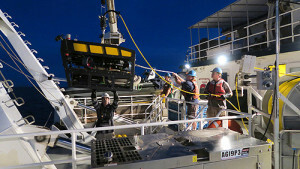 The BPR is used for accurately measuring seafloor elevation. Recovery of mapping AUV after ROV Doc Ricketts on the R/V Western Flyer (in the distance) was used to cut it free from derelict fishing line. Part of the line can be seen still attached to the AUV antenna. The AUV antenna with a groove cut by the fishing line. Deckhand Vincent Nunes holding the line that snagged the AUV while running 50 meters above the seafloor at 800 meters depth. 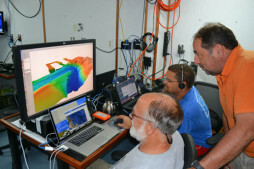 David Caress, Hans Thomas, and Alejandro Hinojosa of CICESE explore the bathymetry of a submarine canyon collected before the AUV was snagged. 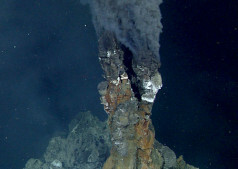 One-meter resolution topography from the second mapping AUV survey. About two-thirds of the planned survey was accomplished before the AUV was snagged.